Currently viewing the category: "Foreshadowing"
Summary: They grew up together. Now they have to escape together. Raja has been raised in captivity. Not behind the bars of a zoo, but within the confines of an American home. He was stolen when he was young to be someone’s pet. Now he’s grown up and is about to be sent away again, to a place from which there will be no return. John grew up with Raja. The orangutan was his friend, his brother. But when John’s parents split up and he moved across the country, he left Raja behind. Now Raja is in danger. There’s one last chance to save Raja—a chance that will force John to confront his fractured family and the captivity he’s imposed on himself all of these years. About the Author: Eliot Schrefer is a New York Times-bestselling author, and has twice been a finalist for the National Book Award. 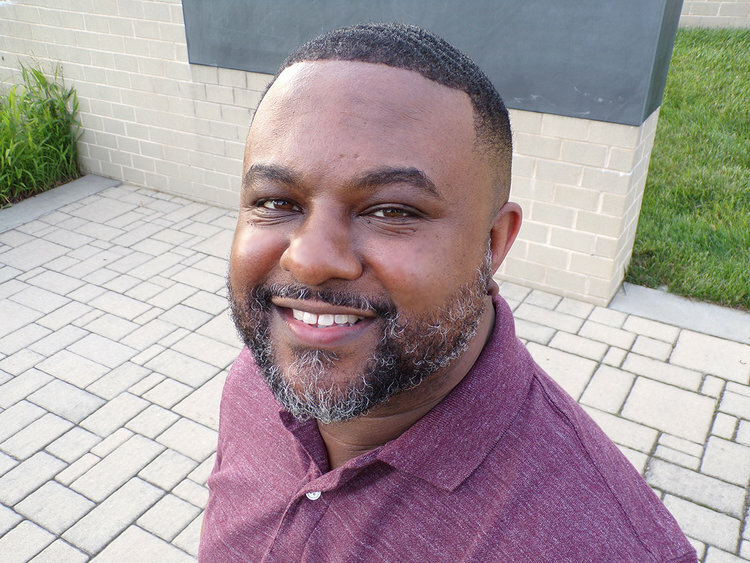 In naming him an Editor’s Choice, the New York Times has called his work “dazzling… big-hearted.” He is also the author of two novels for adults and four other novels for children and young adults. His books have been named to the NPR “best of the year” list, the ALA best fiction list for young adults, and the Chicago Public Library’s “Best of the Best.” His work has also been selected to the Amelia Bloomer List, recognizing best feminist books for young readers, and he has been a finalist for the Walden Award and won the Green Earth Book Award and Sigurd Olson Nature Writing Award. He lives in New York City, where he reviews books for USAToday. Review: I think out of the three Ape Quartet books published so far, this is the one that is going to hit closest to home for many. 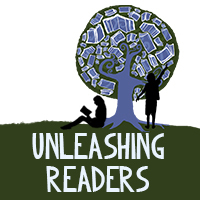 It will make many readers uncomfortable and want to make a change. First, it takes place in the United States unlike Africa like the first two. Second, it really digs into an issue that is still very much prominent here–animal injustice. I find Schrefer’s writing to be so beautiful yet so easy to read. He can pull you into his stories and makes you feel for not only his human characters but also his animal characters. He does such a tremendous amount of research for all of his books and with this one it brings the injustice of Raja alive. I am a sucker for ape books. I find apes to be the most fascinating animals, and orangutans may be my favorite because they have these amazing eyes that just show me that they are so intelligent and deep thinkers. They are also introverts; I think I just relate to them in that way. 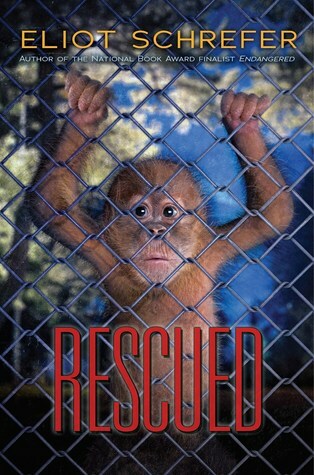 This book brings orangutans to life through Raja. 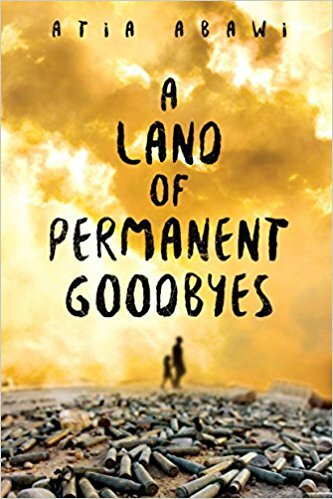 As evident from Schrefer’s status as a two-time National Book Award finalist, his books can be used as a mentor text for just about any aspect of writing that you are looking for: characterization, imagery, voice, conflict, etc. Read any of his books, and you can pull out so much to discuss and use within the classroom. Additionally, there are some amazing ape books, including Schrefer’s other Ape Quartet books, that would make for an amazing lit circle opportunity or text set. Review originally posted here on May 13, 2016. 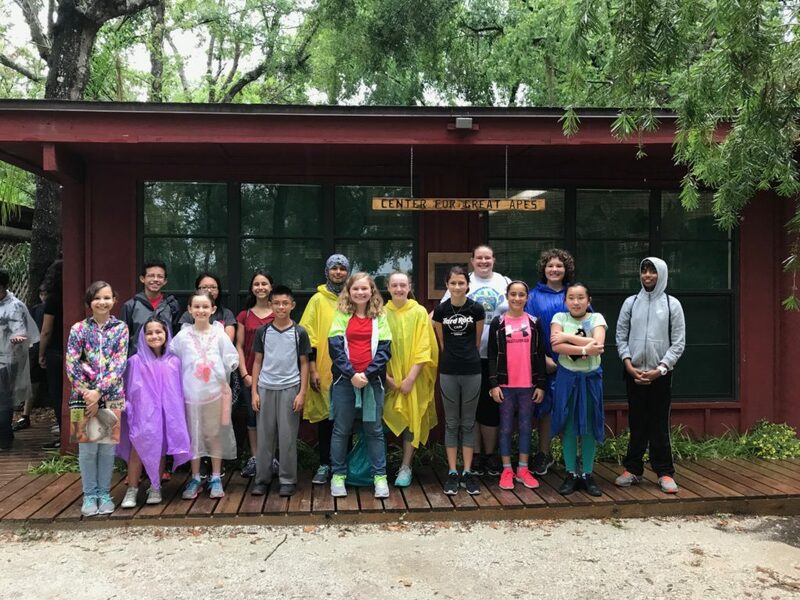 Teachers’ Tools for Navigation: Last year, our whole-class novel unit was done using Hurt Go Happy and included a trip to Center for Great Apes. This year, I had a completely different type of novel planned, but my students begged to read more about apes (and visit CFGA again). After looking at all of the available ape books, I decided that Rescued was perfect for the standards I wanted to teach and also included orangutans instead of chimps, and orangutans are the other great ape at CFGA. After setting up a Donors Choose and getting funded (THANK YOU ALL DONORS! 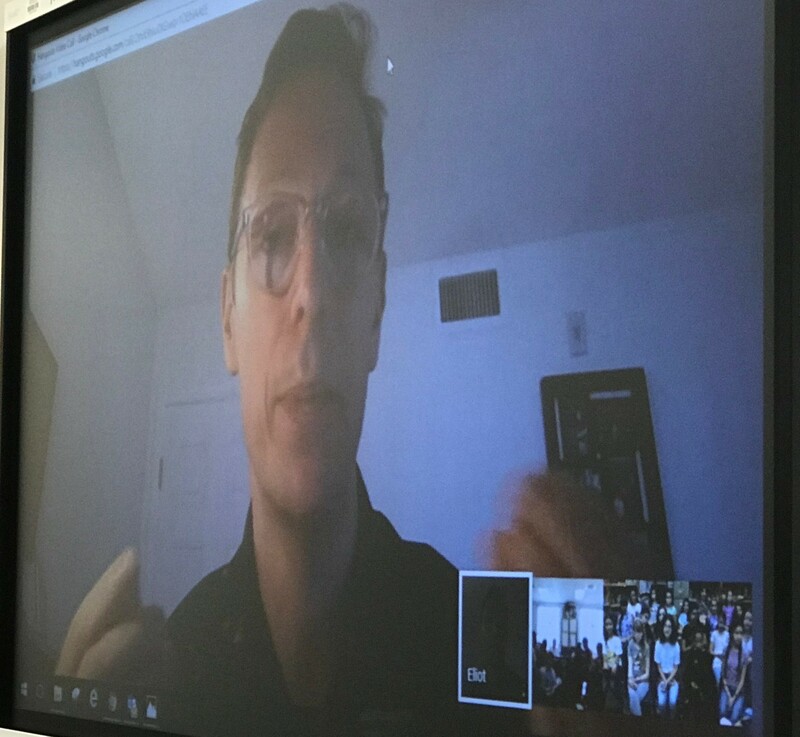 ), Eliot Schrefer also so kindly contacted me and offered to send even more copies of Rescued to my students–wow! So much kindness! Now that we had a plethora of copies, I wanted to share the love, so I contacted my South Carolina middle school teacher friend, Jennie Smith, to see if she wanted to read Rescued with us and collaborate some how. I was so happy that she said yes! Each week the students were given a focus question on Monday that they could think about all week then answer on Friday. These focus questions are how we collaborated with Mrs. Smith’s class as well. My 1st and 2nd period posted their answers on Padlet and Mrs. Smith’s students would also post. The kids would then respond to each other. 1. What’s a big idea that’s emerging that’s worth talking about? 2. Is there a passage that struck you as important in developing a character or a conflict in the reading so far? Share the passage and explain. 3. What incident up to this point has had the most impact on the plot? How so? What did the characters’ response to this incident teach you about them? 4. There are many who argue that Great Apes are human-like, including the lawyer who will take apes as plaintiffs to demand rights. What are some examples in this section of Raja showing how close to humans he truly is? 5. 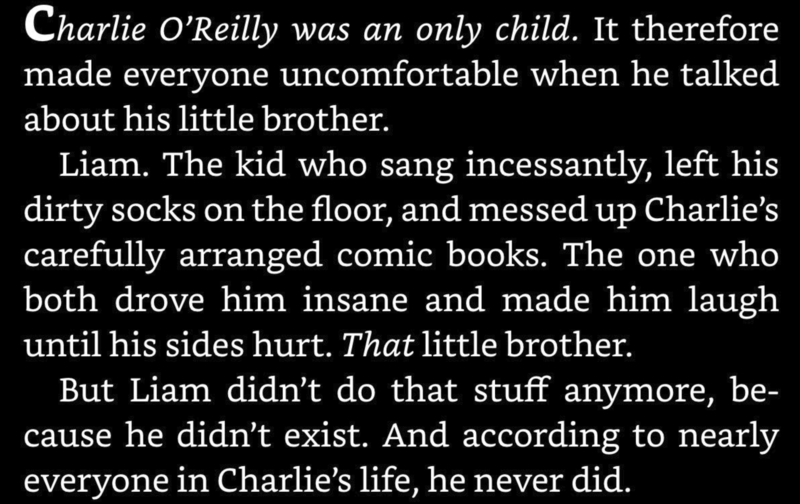 How did the characters (specifically John’s mom, John’s dad, John, and Raja) change throughout the book? What other narrative elements helped shape their final persona? 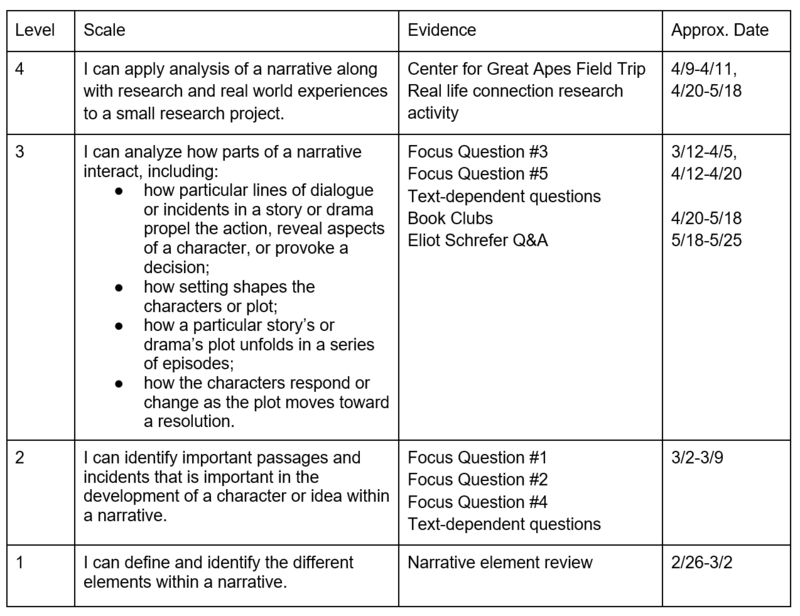 Find a piece of dialogue and a specific incident in the book that is evidence for your analysis of the character. The idea of focus questions was something I got from a talk by Kelly Gallagher and Penny Kittle at NCTE 2017. Once again I was lucky enough to bring my students to the CFGAs. 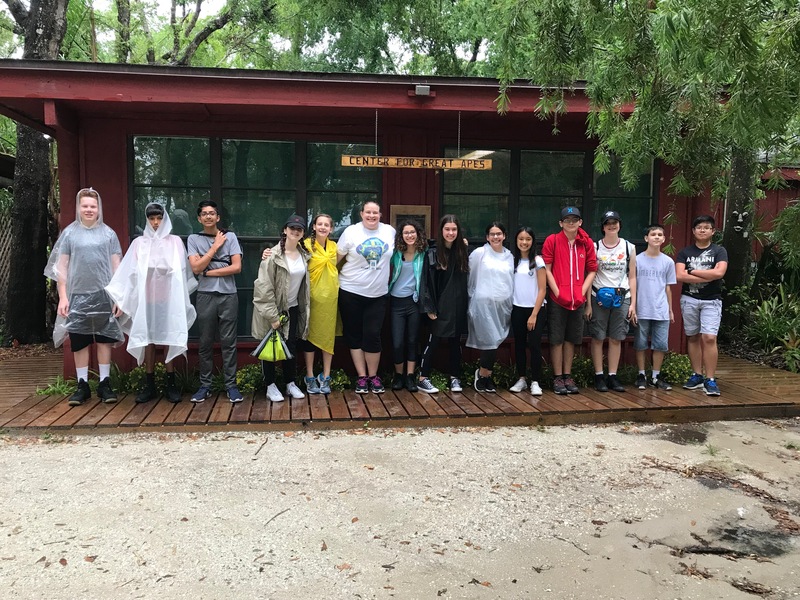 All students were able to attend this year, and they were so kind to donate to the Center goodies for the Apes–it always fills my heart to see the empathy in their hearts! 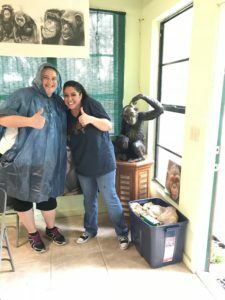 I have gone to the Center for Great Apes for years, and sadly this is the first year it rained. 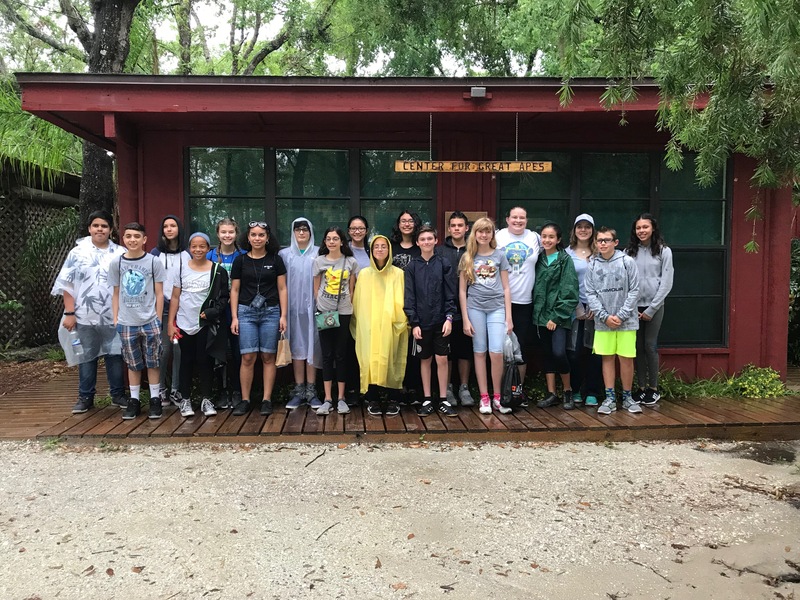 Luckily, we were able to get in a 90-minute tour to see the amazing animals who inspired Schrefer’s novel. To see more about the Center, the apes they’ve saved, and the amazing work they do, please visit http://www.centerforgreatapes.org/. Why did you start writing about apes in the first place? And how did you decide on the order of publication for the Ape Quartet? Do you like writing realistic fiction like Rescued or fantasy like Mez’s Magic better? Will you continue to write about apes now that you are done with the Ape Quartet? While the titles of your other books, Endangered, Threatened, and Captured, inspire a feeling of fear, the title Rescued inspires hope. Did this change in connotation of your title mark your different opinion about orangutans? Were you ever stuck in between two decisions while writing the book? When? 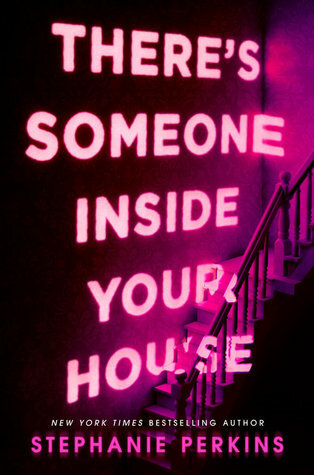 Who do you think the antagonist of the book is? How did you come up with the whole “Raja bites off John’s finger” scenario? How did you come up with the concept of Friendlyland? How did you come up with the character traits for each character (Ex. Gary being a bad father)? Did you base them off people you know or knew? Can you tell us more about the corruption happening in Indonesia which allows palm oil companies to be able to keep burning down forests even though it is illegal? Do you feel that apes should be treated like human beings and given the same rights such as due process, land, etc. like the lawyer in the book? Was it hard for you to decide what would happen to Raja at the end of the book or did you know that you wanted Raja to be released into the wild instead of being kept at the sanctuary? Do you have a favorite sanctuary or zoo you’ve visited? 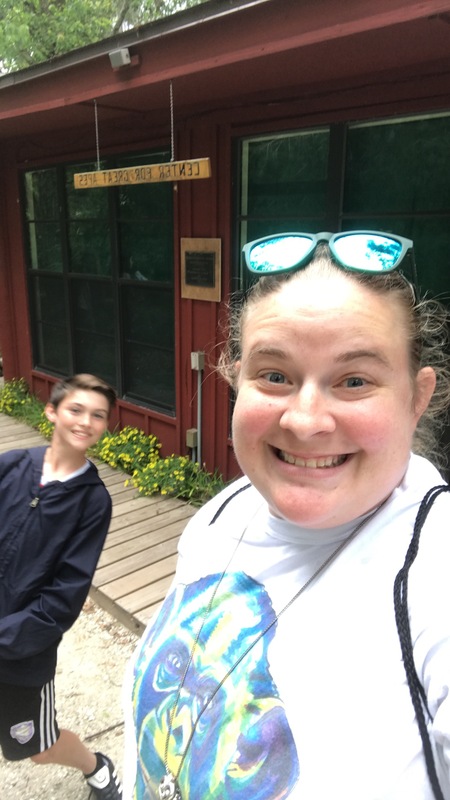 Have you visited the CFGA? You used the word “merantau” which means “hitting a dead end and leaving one life to live another elsewhere” which pretty much sums up the theme of the book. Where did you come across this word? 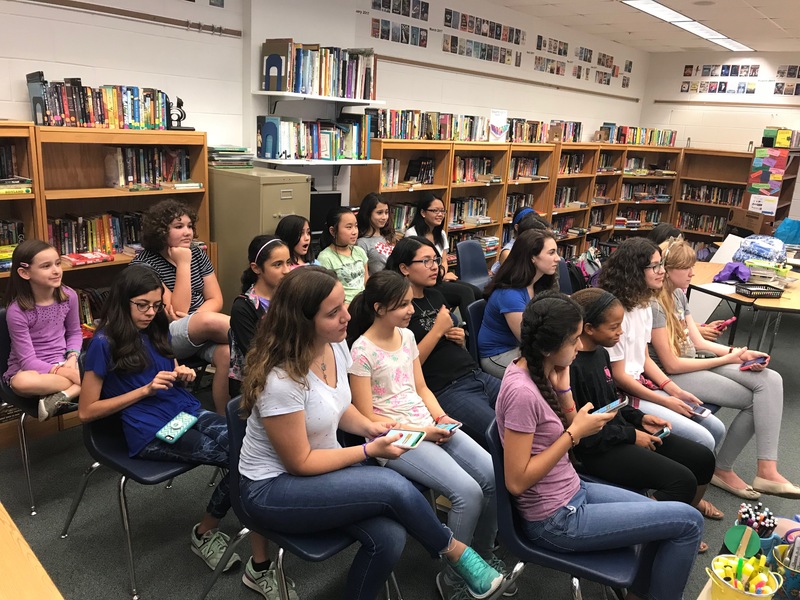 What writing tips can you give to students who want to be a writer? Realistic fiction allows for a shifting antagonist. Wanted to help people realize that orangutans aren’t stuffed animals come to life. I don’t have characters first. I have stories first then make the best characters for that story. Apes should not be kept against their will. I used the idea of merantau to develop the plot. Advice: For any artistic pursuit, I encourage you to think of the long range range view. It is risky to put all expectations of self in one basket. Focus on the joy you feel when doing the art. Remember what brings you joy! And do research, take advice, and read. Discussion Questions: These were the first five of the text-dependent questions I asked during our reading of Rescued as well as an example of a student response (color coded for RATE. R=restate, A=answer, T=text evidence, E=elaborate/explain). What can you infer about John and Raja’s relationship based on the first section? Why does John feel like he needs to go see Raja before he leaves? In the Q&A, the author says he “realized that a captive ape’s situation was similar to the plight of a kid during a divorce, getting swept along by the needs of powerful parents, at risk for being seen for what he represents instead of as a child with his own needs” (p. 251). How are John’s and Raja’s situations similar after the divorce? How are they different? Do you agree with the choice John and his dad are making? Why or why not? Why do you believe the author is beginning each part with a memory of Raja’s? How did the author foreshadow this scene (on pg. 99) earlier in the book? 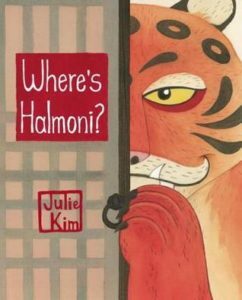 Summary: Where’s Halmoni? 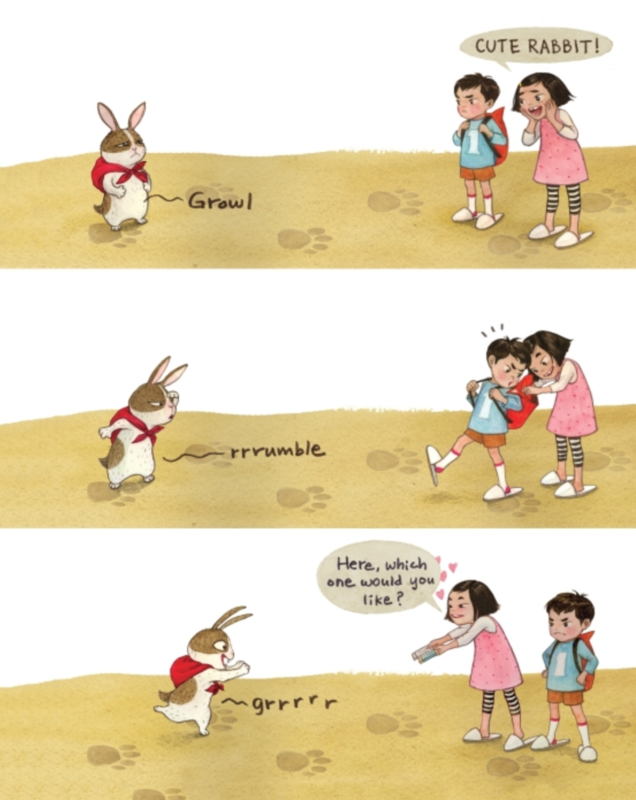 is a picture book in a graphic novel style, which follows the story of a young Korean girl and boy whose search for their missing grandmother leads them into a world inspired by Korean folklore, filled with mischievous goblins (dokkebi), a greedy tiger, a clever rabbit, and a wily fox. 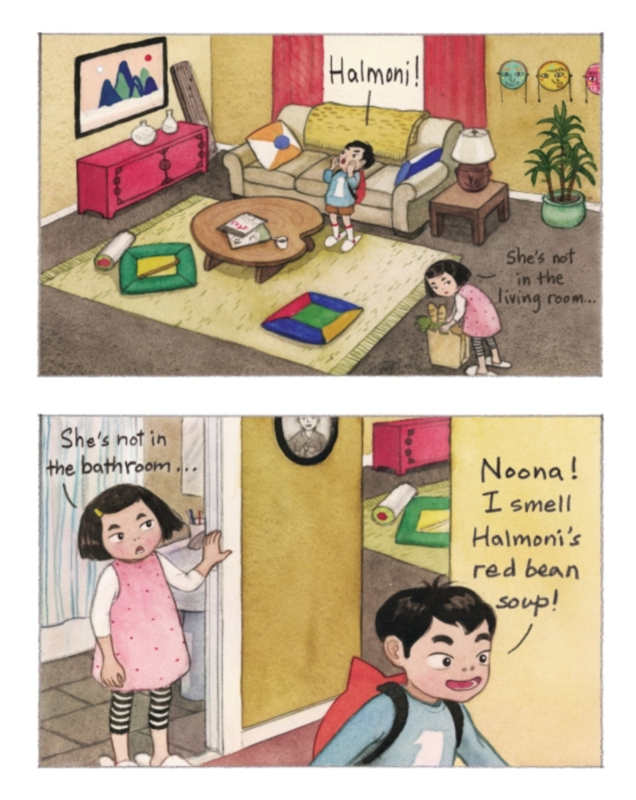 Two young children pay a visit to Halmoni (grandmother in Korean), only to discover she’s not home. 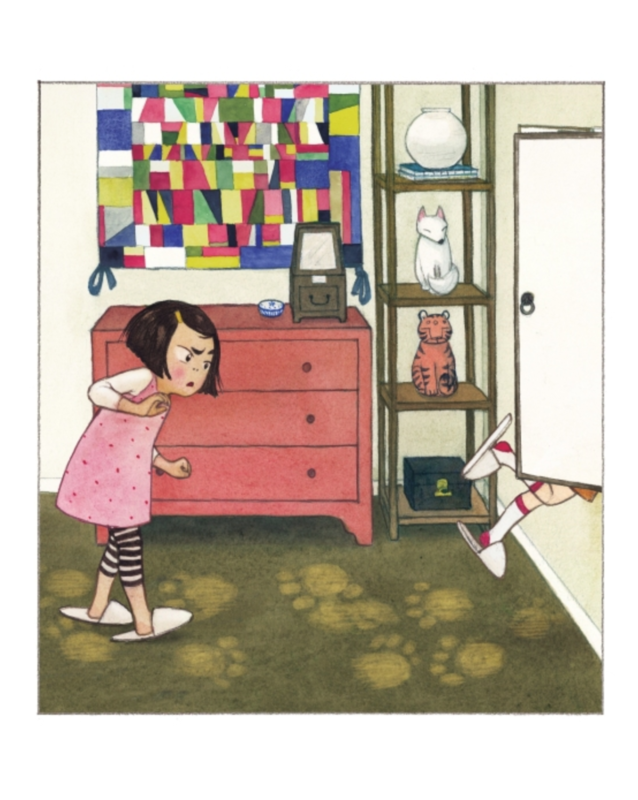 As they search for her, noticing animal tracks covering the floor, they discover a pair of traditional Korean doors, slightly ajar, new to their grandmother’s home. Their curiosity gets the best of them, and the adventure begins when they crawl through and discover an unfamiliar, fantastical world. As they continue to search for their grandmother and solve the mystery of the tracks, they go deeper into the world of Korean folklore and experience their cultural heritage in unexpected ways, meeting a number of Korean-speaking characters along the way. Translations to Korean text in the story and more about the folktale-inspired characters are included at the end. 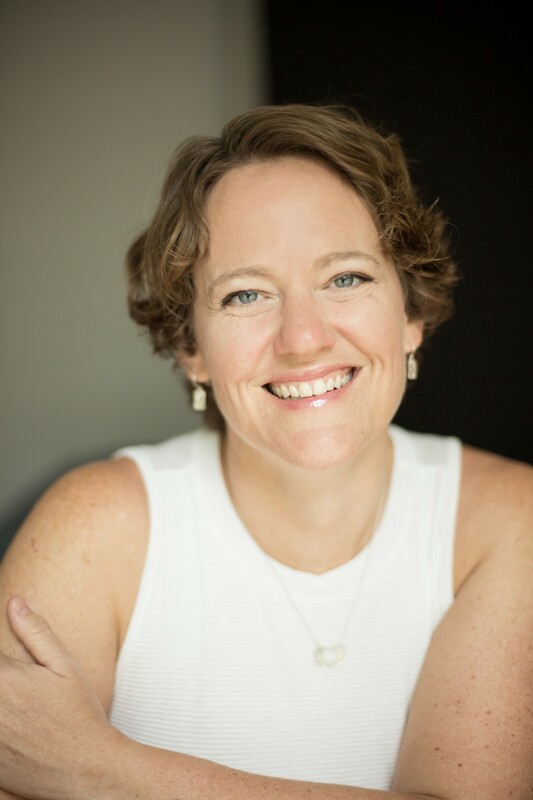 About the Author: Julie Kim is an author and illustrator living in Seattle, WA. She has published with Cricket Magazine, Scholastic, and Mondo. Where’s Halmoni? is her authorial debut. Review: This book is a piece of art. The way that Kim combined traditional Korean folklore characters, including giving an explanation about each of them in the back; realistic sibling relationships; an adventure with beautiful settings; and her amazing artwork lent to the creation of a very special book. There is so much to unpack including homage to traditional Asian art styles, inferring opportunities, introduction to Korean folktales, and inclusion of Korean language. This book will be perfect as a read aloud with discussions, lit circles looking at folktales, or as an independent book for your adventure or graphic novel fans. Teachers’ Tools for Navigation: Where’s Halmoni? and its back matter are a perfect addition to a folklore unit including a discussion on how authors fracture/retell/modernize folktales in all cultures. And P.S. a whole discussion/lesson could be done around the end pages! How did Kim intertwine traditional Korean folktale characters into her story? What do the end sheets tell you that the rest of the story did not? What clues were there at the beginning of the book that ultimately they would encounter a tiger and a fox? How could you infer that Halmoni was their grandmother? Before reading the translations of the Korean in the back of the book, use the context clues and try to guess what the characters are saying. Would you consider this book a picture book or a graphic novel? Why? Summary: Tsu and the Outliers is a graphic novel about a non- verbal boy whose rural existence appears unbearable until rumors of a monstrous giant upend his mundane life. 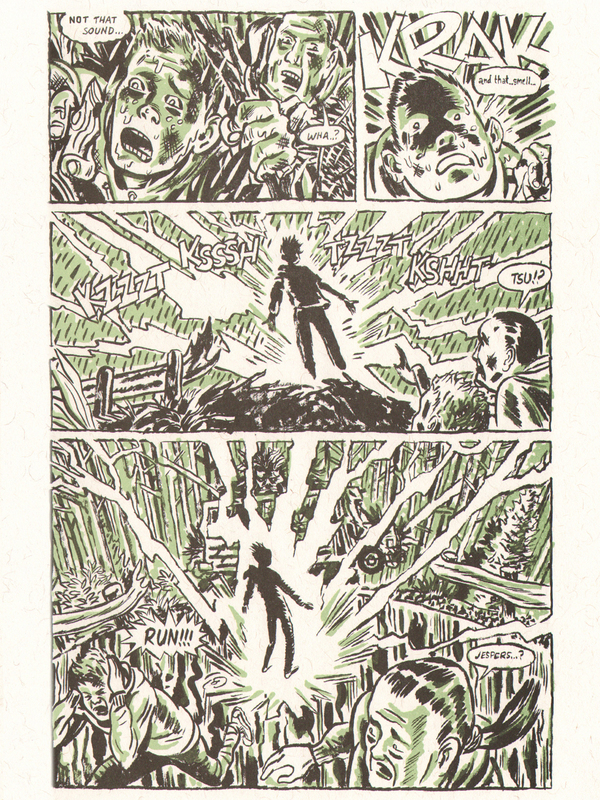 Tsu finds himself at the center of the mystery, as his strange metaphysical connection with the creature is revealed. As the dragnet closes in, Tsu is forced to choose between a dangerous path leading beyond the periphery of human perception or a life without his only friend. 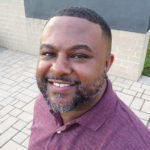 About the Author: E. Eero Johnson (Erik T. Johnson) is a Minneapolis-based illustrator, graphic designer, and comic book artist. His illustrations have appeared in GQ, The New Yorker, Newsweek, Wired, and The New York Times, and on several book covers. His comic book projects, The Outliers and Kozmo-Knot, have gained a growing interest from the indie comic world. He lives with his wife, Tammy, sons, Emmett and Eilif, and a crazy Boston terrier. Review: Tsu and the Outliers is an interesting look at a new type of superhero: a young non-verbal boy who is able to communicate with a creature that his world is afraid of. There are some interesting discussion points when it comes to bullying since Tsu is judged by his classmates because of his disability. This is a big theme during the beginning of the book as we get to know Tsu. The creature also ends up being a Sasquatch and they are being chased by a chupacabra-like creature which introduces North American folklore. Overall, the story is pretty crazy (in a good way), and the end of the book sets up for a definite sequel which I NEED because Tsu makes a crazy decision at the end of the book with no explanation. Teachers’ Tools for Navigation: Use the scene where Tsu is bullied by Jespers to start a dialogue about bullying. Discuss why the scene makes them angry and uncomfortable and what could have been done by others to help Tsu. Have students create anti-bullying advertisements to share in your school. When mythology and folklore are discussed, the focus is primarily on Greek, Roman, and Egyptian. 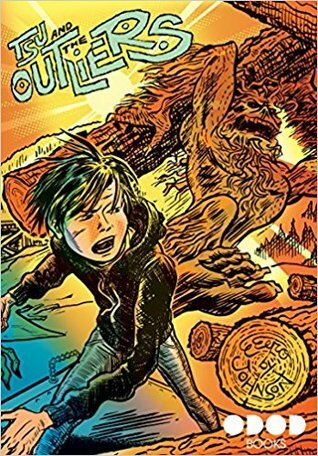 Use Tsu and the Outliers to discuss North American folklore including the Sasquatch and chupacabra. Have them research the tales about these creatures and create their own myth with them in it. Also, as a class, discuss the difference between the characters is Tsu and traditional folklore. What foreshadowing was there to show that Tsu was more than what everyone assumed? Tsu’s lack of verbal communication in the end of the book ended up not being a disability. What do you think caused it? Why do you think Tsu made the choice he did at the end of the book? Why do you think Tsu’s mother made the claim she did at the end of the book covering up for Tsu? Why does the Chimpanzee-professor want Tsu? 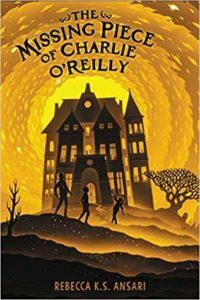 Goodreads Summary: One-by-one, the students of Osborne High are dying in a series of gruesome murders, each with increasing and grotesque flair. As the terror grows closer and the hunt intensifies for the killer, the dark secrets among them must finally be confronted. My Review: This book was gripping from the first page. I found myself getting sucked into it, trying to figure out the mystery of who the killer was, but also of what Makani’s past entailed. 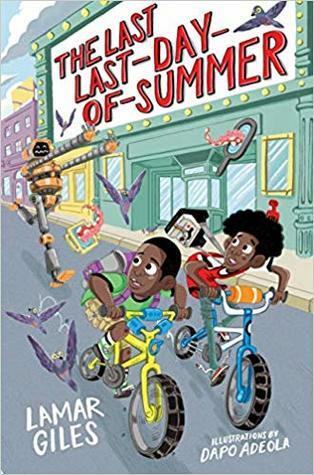 The author, Stephanie Perkins, did an amazing job of planting foreshadowing and clues that hinted toward the answers to the multiple mysteries that kept my brain working the entire time that I was reading. I also loved the emphasis on friendship groups, feeling like an outsider, and bullying/hazing as many adolescents face these topics every day. The way that these topics were portrayed in Makani’s friend group, and the way that the friends help Makani to deal with her hazing trials were something that I appreciated. However, there were two things that I wish were approached differently in this book. 1. Even though this is a small point, one of the characters was a stereotypical, loud Christian character who tried to force his beliefs on everyone else, including a mention of how he managed to get rid of any mention of evolution in his school textbooks. He was characterized as a Lutheran. While this probably wouldn’t mean much to other people, I am a Lutheran, and all of the Lutherans I know believe and support evolution, and don’t at all act like this negative christian stereotype character does. But, this book makes it look like all Lutherans act this way. I wish that there had been no mention of the character’s denomination. 2. I wish that more emphasis had been placed on dealing with the deaths that occurred in the books, as well as the motivations of the killer, as those were both just glanced over. This is problematic as it leaves a huge hole in understanding of the novel, and makes it harder to talk about some of the prominent events in the story. Overall though, it was a very entertaining novel. Teachers’ Tools for Navigation: This would be a great book to have in a classroom library for kids to enjoy. Given the graphic, violent nature of some of the scenes, I wouldn’t recommend teaching to an entire class. However, it will appeal to students who enjoy the horror genre. This book also has great potential in literature circles. Perkins does a great job of foreshadowing and giving hints not only as to what is going to happen, but to stories that have already happened that the readers don’t know about yet. As I was reading, I loved being able to piece together the clues that were given to try to guess what had happened and also what was going to happen. A literature circle could have a lot of fun trying to piece those clues together as a group. This book also touches on other important topics such as bullying/hazing and family struggles which could be discussed in a literature circle, as well as the elements of forgiving oneself/dealing with guilt (which Makani experiences as a result of the hazing incident). The one thing that I found this book lacking was any form of dealing/acknowledging grief and death, as well as an acknowledgement of mental health issues (which the killer would have to have). These failings in the book could also be discussed in relation as to how to acknowledge those topics in a healthy way. Discussion Questions: Where do you see foreshadowing in the early parts of the books? 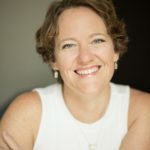 ; How does Perkins create suspense in her novel? ; What is Makani’s relationship with her parents like? ; What was Makani’s experience with hazing like? Have you experienced something similar? ; How does blame and justice appear in this book? Is it always fair?